GDPR, DPA, FPS, ICO… confused? Over the last two years, enquiries, reviews, a media frenzy around over-communicating, a new fundraising regulatory body and a perceived public mistrust of the sector all mean that the next two years will see significant changes that affect us all. 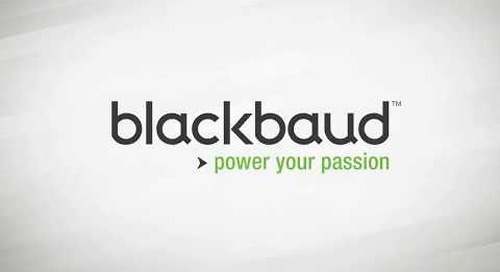 Organisations close to the centre like Blackbaud are well placed to support and inform you every step of the way. An EU law passed by Council of the European Union on 27th April 2016. 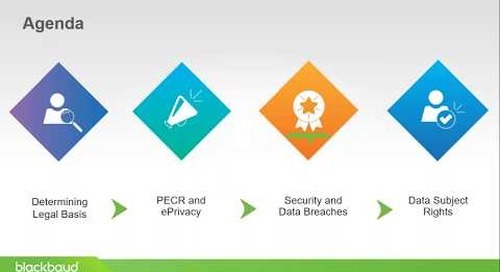 All organisations that process personal data. It affects both non-profit and for-profit organisations, big and small. Brexit will not change the UK’s compliance requirements. Any negotiations as we leave the EU will include equivalency with EU law on data protection. GDPR “enters into application” (becomes active law) on May 25th 2018. For the UK, the ICO will release its interpretation of the law in November 2016. 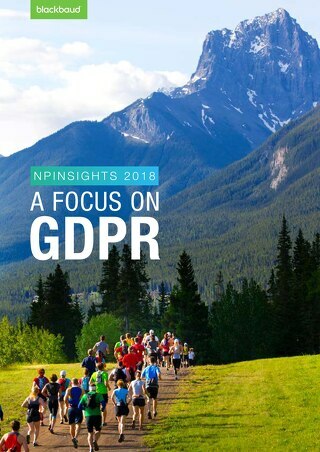 Unlike a European Directive, GDPR is a Regulation that does not require any enabling legislation to be passed by national governments. 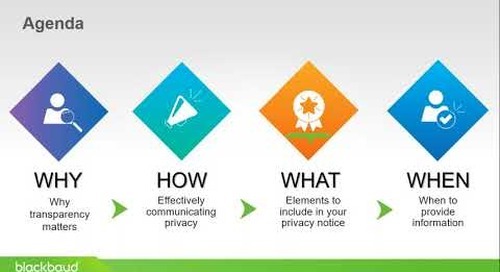 What’s changed from the Data Protection Act 1998? Increased enforcement powers:g. maximum fines of up to €20 million or 4% of total annual worldwide turnover of the preceding year (whichever is higher). Extended geographical scope: non-EU businesses will be subject to the regulation if they provide their service to EU organisations, or monitor the behaviour of EU residents. Consent: More rigorous criteria will be applied to obtaining individuals’ consent: it must be freely given, specific, informed and unambiguous. E.g. fundraising consent may not be valid if it is given when grouped with non-fundraising matters. Profiling: Individuals will have the right to object to profiling, which includes most forms of online tracking and wealth screening. The right to be forgotten: Individuals will have the right to request that an organisation delete all their personal data. This is one of the most significant changes: data can only be legally ‘held and used’ if a person has actively and positively opted in. Consent under the GDPR requires some form of “clear affirmative action”. Silence, pre-ticked boxes or inactivity does not constitute consent. Consent must be verifiable. This means that some form of record must be kept of how and when consent was given. Individuals have a right to withdraw consent at any time. 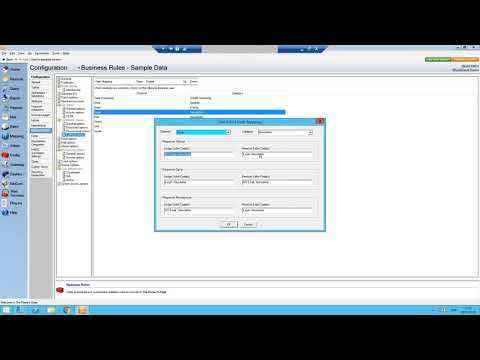 Explicit permission to contact through different channels, e.g. phone / email / text / post. The consent must be “informed consent”. Note that the ICO’s November interpretation of GDPR will give us all greater clarity around ‘legitimate interest’ – i.e. 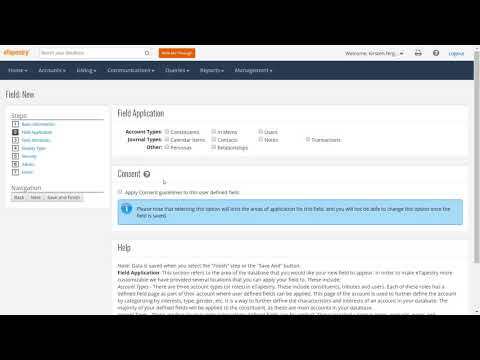 do we need to get a supporter’s opt-in consent if we have a legitimate interest to market to them? This was allowed under DPA – it’s not so clear now. There should be a fundraising equivalent to the Mail Preference Service (MPS) and the Telephone Preference Service (TPS): the ‘Fundraising Preference Service’ (FPS). Active immediately – the Fundraising Regulator came into being on 7th July 2016. Allow individuals a “complete opt-out from receipt of future specified fundraising communications” from a single place – the so-called “large red button”. 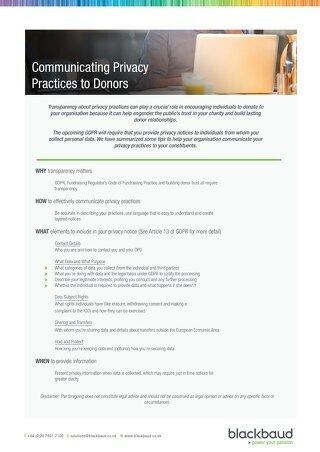 Also allow individuals to opt-out of fundraising selectively, by registering with FPS but exempting specified organisations of their choosing. The FPS works in conjunction with the TPS and MPS. It “should not be seen as some form of over-ride to the TPS and MPS”. Charities must “respect the preferences expressed by individuals under these schemes”. An individual’s registration with the FPS is for two years, and will lapse if not renewed. A charity with a pre-existing relationship with an individual who registers with the FPS will be permitted to contact them once within 28 days of their registration to confirm the individuals’ intent was to exclude them. Due to necessary operational costs of adhering to the FPS, it has been deemed “necessary to initially limit the scope of the FPS” as regards the size of organisation to which is applies. The threshold has not yet been set, though is expected to be organisations whose expenditure on direct marketing exceeds £100,000 per year. Quotes taken from the Fundraising Regulator’s final report, issued September 2016. We’ll be keeping our Data Protection Form page updated whenever new information is released. While the information provided above is reliable, it does not constitute legal advice and should not be construed as legal advice or a legal opinion on any specific facts or circumstances. 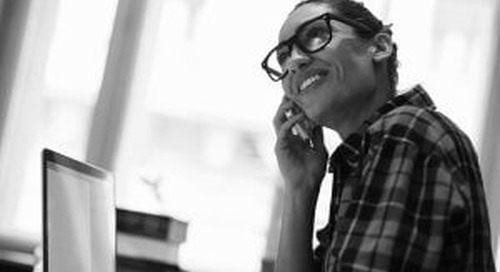 The post Data Protection Reform – What it means for you appeared first on Blackbaud Europe. 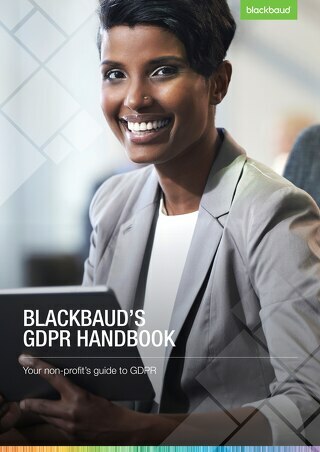 Blackbaud’s Legal Counsel and DPO has taken 88 pages of law and distilled them down into five, to succinctly summarise the top eight operational effects of GDPR. 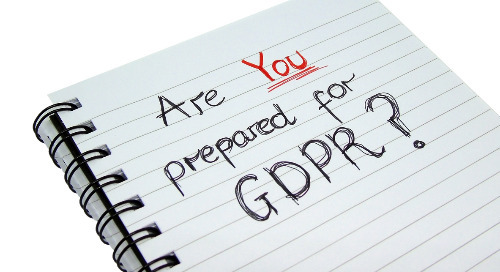 With only one month until GDPR comes into effect, we'll talk you through the other legal bases for data processing, and take a look at how PECR and the ePrivacy Regulation may work alongside GDPR. 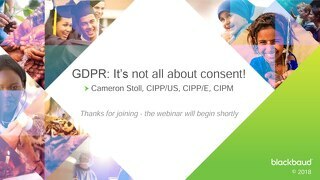 Blackbaud Webinar: GDPR - it's not all about consent! 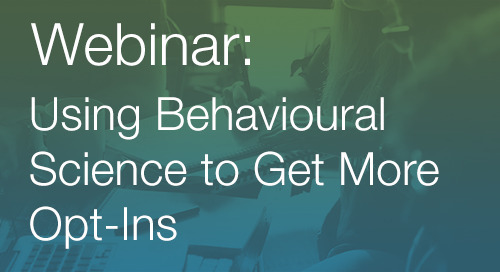 Blackbaud Europe's Rob and Collette discuss the main stages you should go through when selecting the right CRM technology for your non-profit organisation. 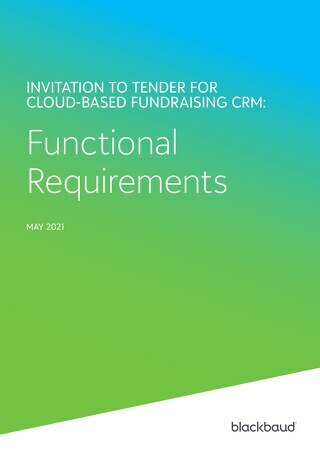 Your step-by-step guide to selecting fundraising CRM software for non-profits. Download the five-point plan. Dr Kiki Koutmeridou’s explores psychology of effective marketing communications.